Fab-fairy-tastic! Greetings from a world of fairies. 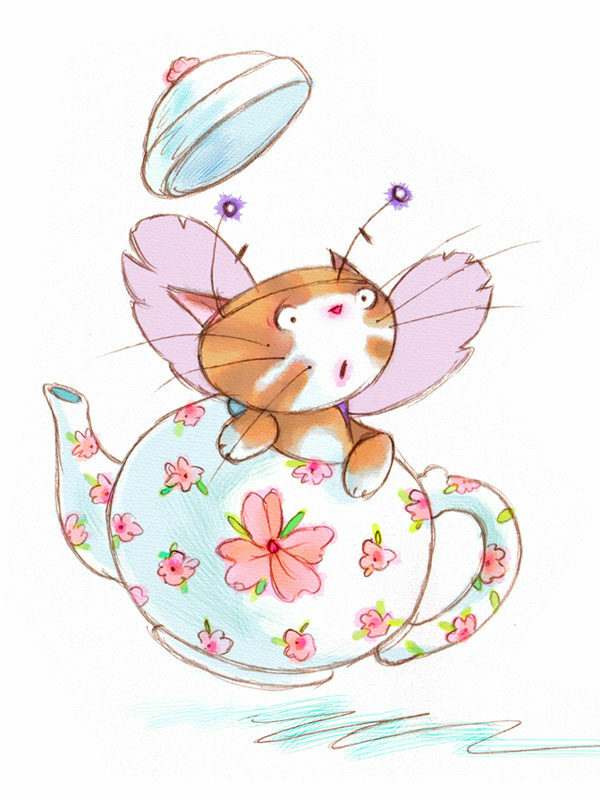 Faery cats is a new weird and wonderful set of illustrations I am working on for the greeting card market. I like cats and faeries, so why not put them together? The Teapot is a little bit surreal I know, but I do like Alice in Wonderland’s Mad Hatter’s Tea Party, which gave me the inspiration for this illustration. Hand drawn and digitally coloured.